Students who earn an University of Delaware online degree receive the same degree that the university confers on graduates of its on-campus programs. Our academic excellence extends to our online curriculum, and online students receive personalized instruction from our expert faculty. In addition to providing students with flexibility, our online learning platform engages students in a range of learning activities that may include reading, watching lectures and demonstrations, participating in asynchronous online discussion boards, taking online tests and quizzes, and completing a broad range of assignments. Online students have access to many of the same resources that on-campus students benefit from including career services, library privileges, and technology resources and support. When they graduate, they become valued members of UD’s ever-expanding alumni network. Students are welcome to attend any on-campus event of interest including career fairs and graduation ceremonies. Students can use their UDelNet ID to access the library’s electronic resources from off-campus. The Career Services Center offers a variety of career fairs and meetups throughout the academic year. We offer boutique events based on our industry-focused communities to bring talented Blue Hens and employers together. Most events are open to all matriculated UD students and alumni. Specific event details and registration information can be found here. Resources include help with interview preparation, developing a resume and cover letters, tips for networking, and more. Students can also access Handshake, the one-stop shop for all jobs and other career resources. 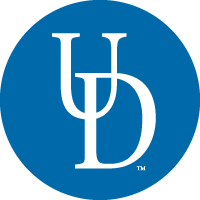 The UD Information Technologies website provides students with a range of resources and services that include access to UDelNet, discounts on software licenses, free MS Office 365, and personal IT support.